Awarded to full time students in good standing majoring in math education with a 3.0 minimum GPA for a current college student or a minimum 3.2 GPA for a current high school senior. Preference given to Anaconda students first then Southwestern Montana students. Dan and Claudia are both graduates of Western. 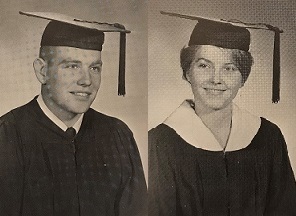 They graduated in 1968. Dan is from originally from Anaconda, Mont. He was a Math, Biology and Physical Education major. He worked in Great Falls at CM Russell for 13 years and then was at MT Tech for 3 years and finished his career at Brigham Young University after 20 years.